Some may argue that the discipline of investing is independent of where you live. We respectfully disagree. Getting to know you, your goals and your values is an indispensable aspect of our investment counseling, and a sense of community is an integral part of that process. 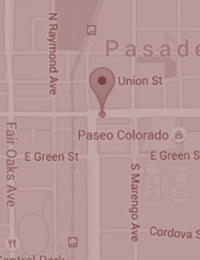 We have been a Pasadena stalwart for a century; we understand what it means to value connections that cross generations, to respect the past while building a better future, to feel pride in working with your neighbors to make a better place to live. While we may feel it more acutely when we scan the foothills out our own windows, we know the urge to make a difference in your surroundings—wherever you may be—is basic, vital and universal.